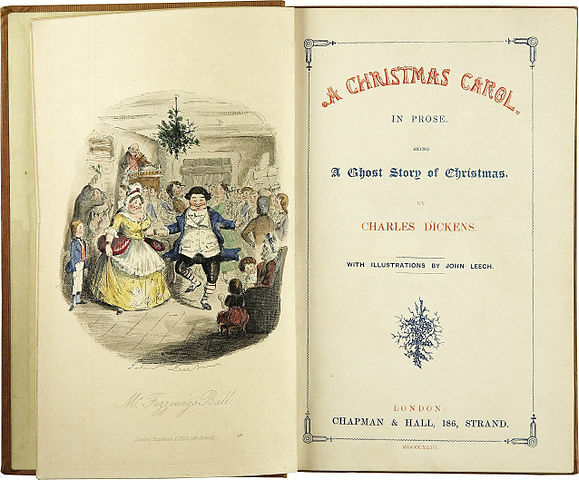 Charles Dickens' novella A Christmas Carol in Prose, Being a Ghost-Story of Christmas (1843) remains one of the most popular and enduring Christmas stories of all time. 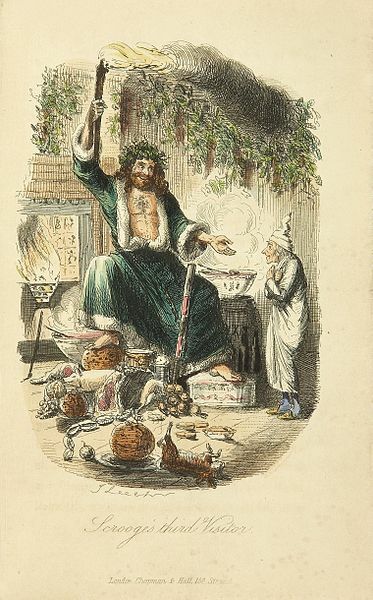 A Christmas Carol is a morality tale of a bitter old miser named Ebeneezer Scrooge. Scrooge holds much of the world in contempt and has sacrificed love and friendship to the worship of money. Running his business with tyrannical authority, the oppressive boss is so cheerless that he refuses to show Bob Cratchit, his over worked and underpaid employee any quarter, even on the day before Christmas. Jacob Marley, Ebenezer Scrooge's deceased partner visits old man Scrooge as he is making his way home on Christmas Eve. In serial order the ghosts of Christmas Past, Christmas Present and Christmas Yet to Come visit old Scrooge, and are able to spark a dramatic change in the bitter old man. Enjoy Charles Dickens' masterful tale of redemption. A story that has given us timeless characters like Ebenezer Scrooge, Bob Cratchit, Jacob Marley, and Tiny Tim. This book is featured in our collection of Books for Young Readers and Christmas Stories.